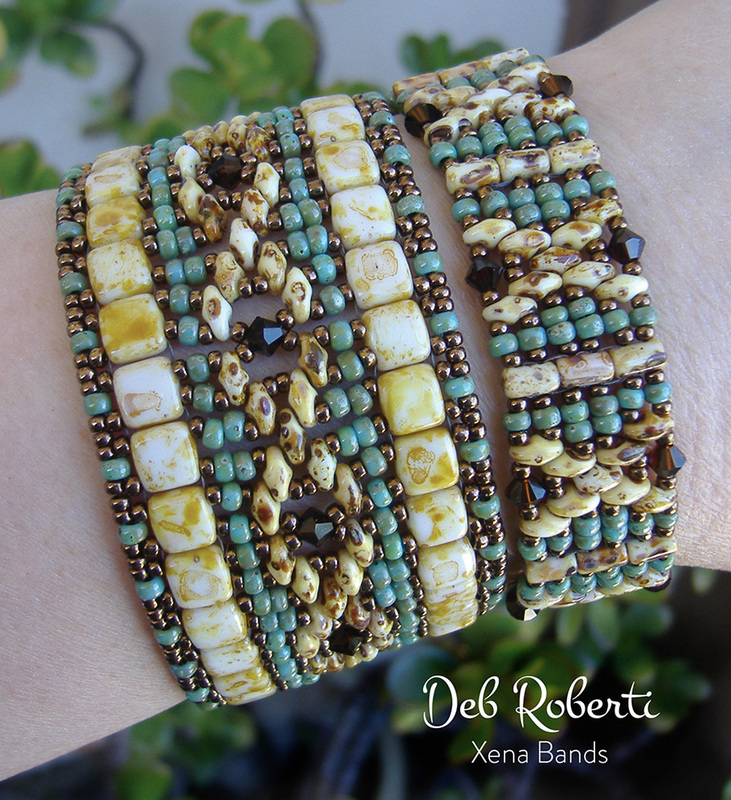 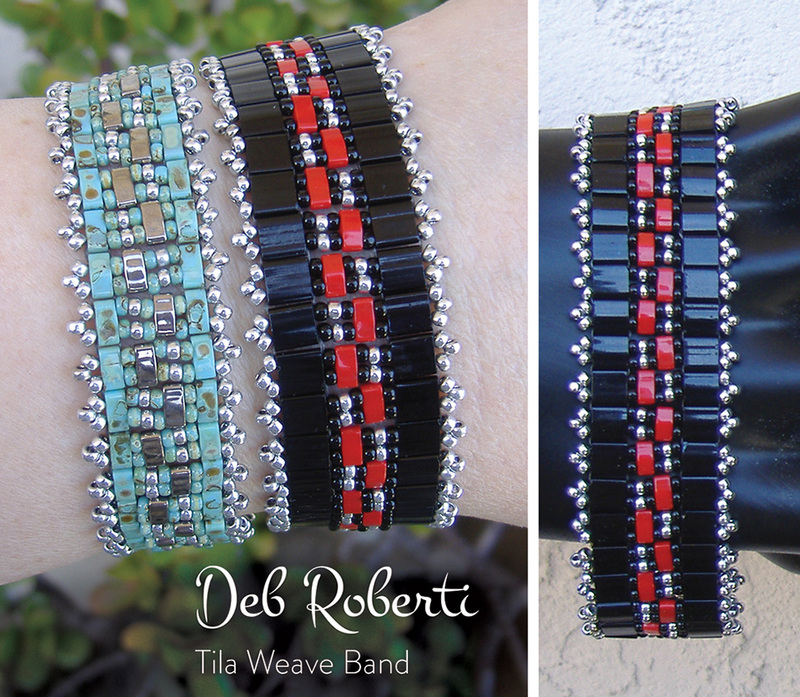 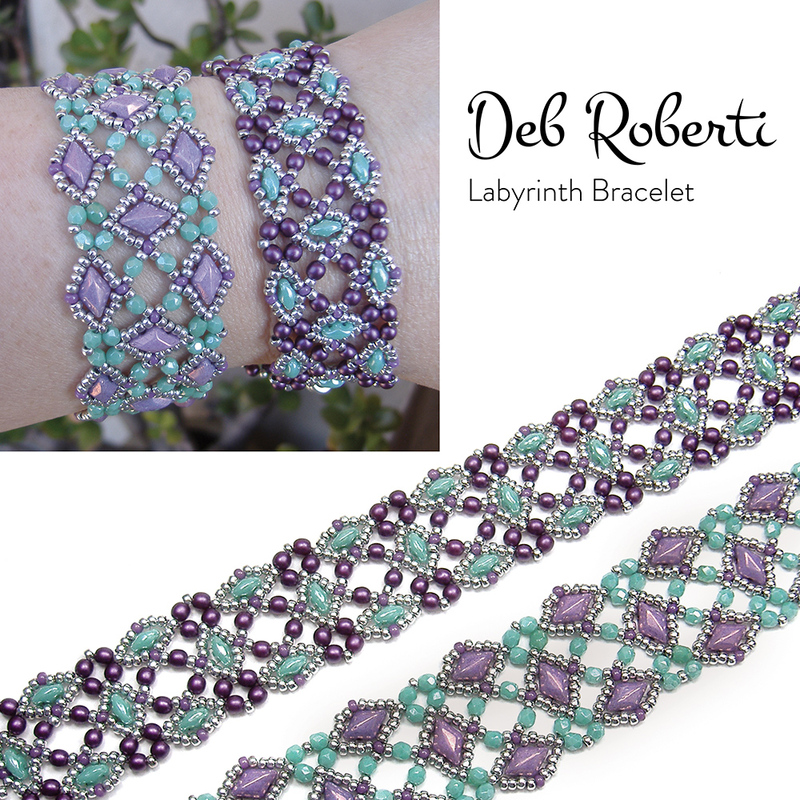 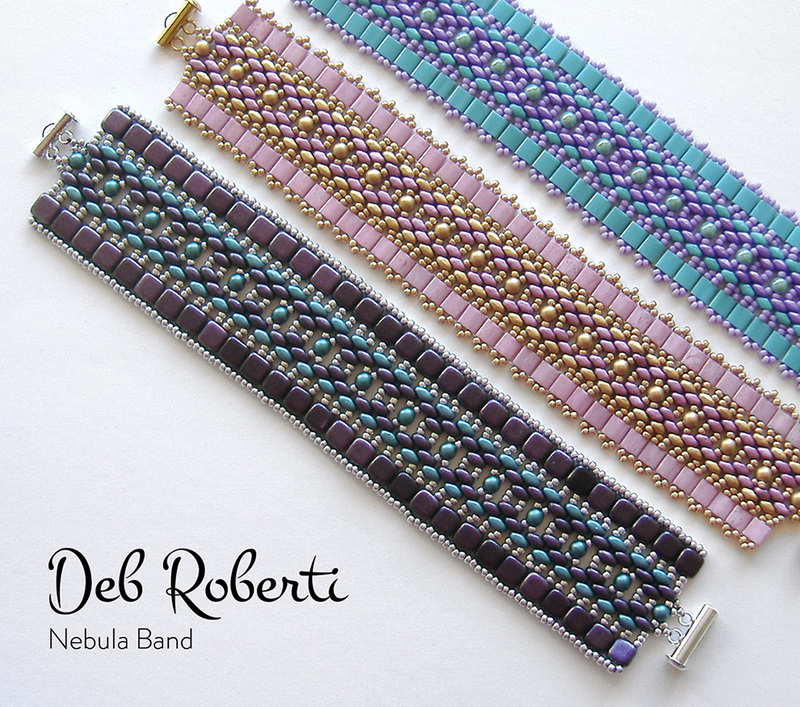 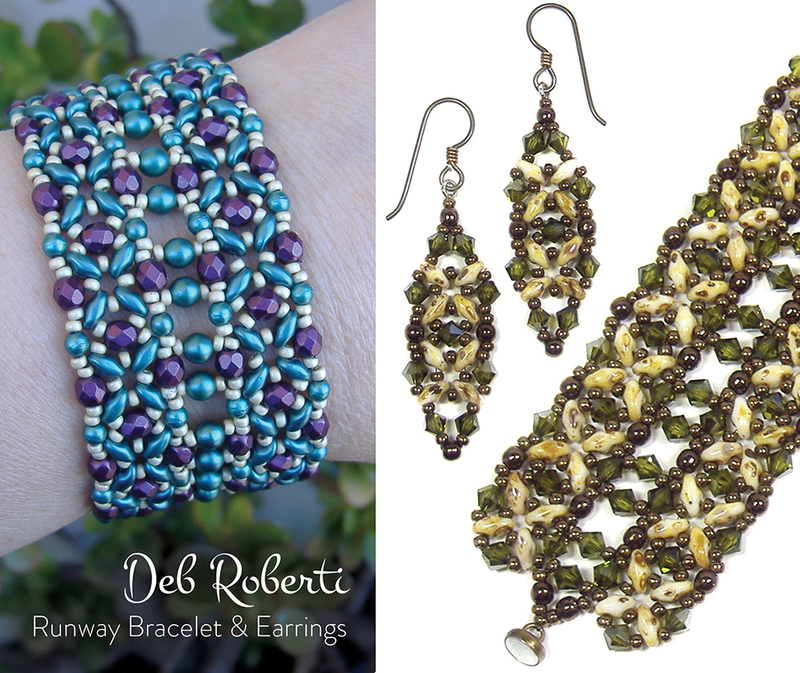 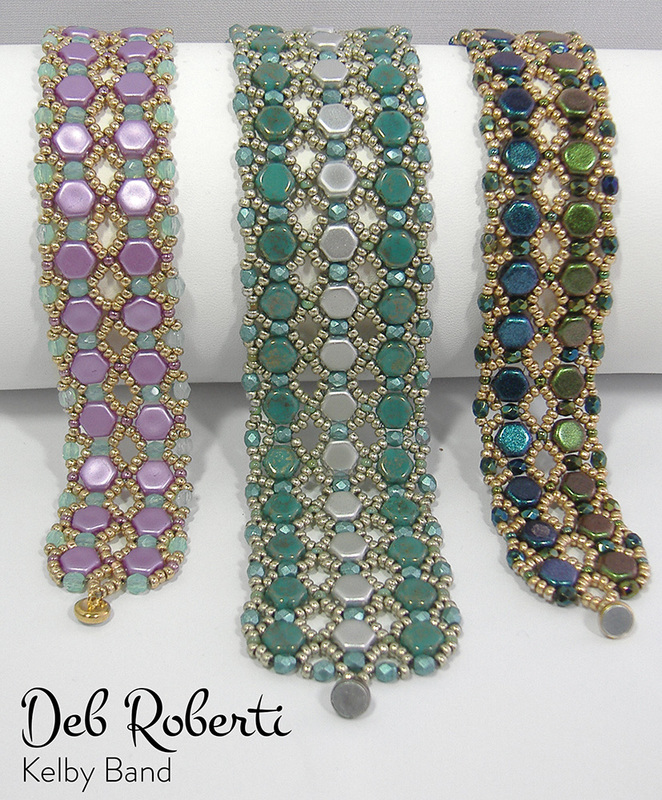 Use size 11/0 seed beads, 4mm round beads and either Miyuki Tila beads and MiniDuo beads or Czech Tile beads and SuperDuo beads for some impressive textured bands. 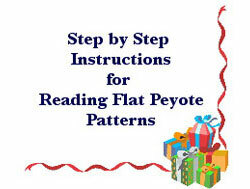 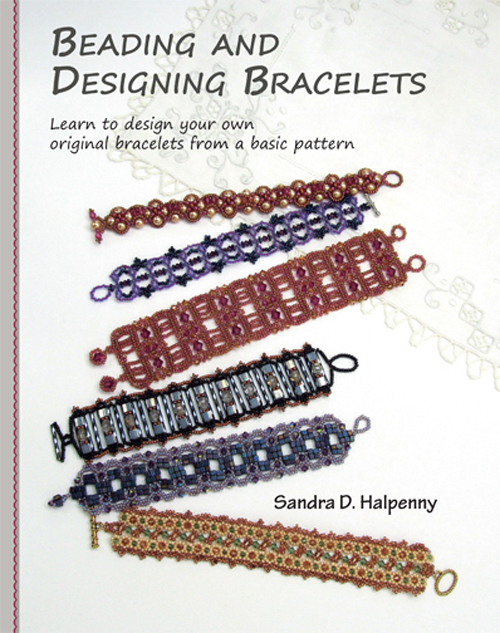 The stitch technique looks intricate but once you get the hang of the repeat sequence, you’ll find that it is really quite easy. 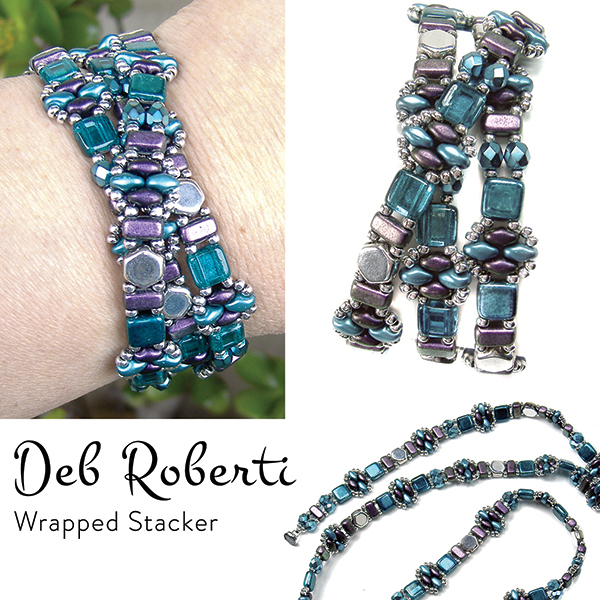 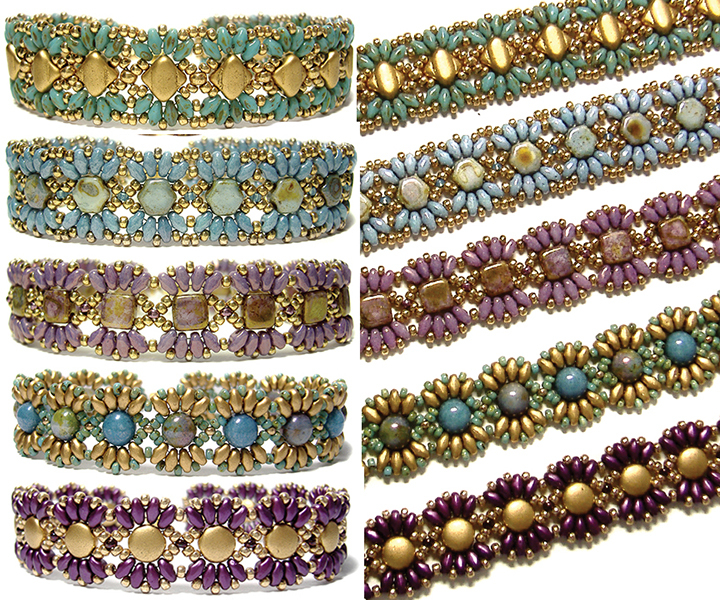 Clasping instructions are included for single-strand and double-strand clasps. 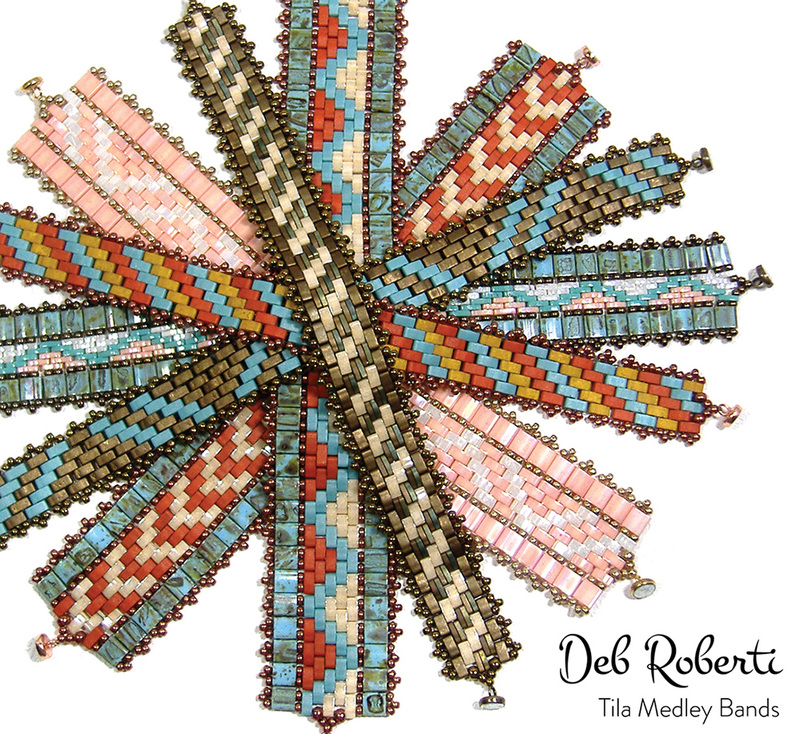 In addition, there’s no reason why you can’t use Half Tila, Quarter Tila or a combination of Tila bead sizes instead of the full-sized Tila beads, or Czech Brick beads instead of Czech Tile beads.